written & composed by Sampeace Brown. Arranged by: Sampeace Brown & Rabbagast. Lead & background vocals: Sampeace Brown. Background vocals: Lisa Kanteh. Guitars: Harald Engen . Percussions: Omari.S.Tabu & Sampeace Brown. Bass, Keyboards & Horns prog: Rabbagast & Sampeace Brown. Drums: Tom Nilsen. Recorded and mixed at RabStax Studios Oslo Norway. Engineerd by Rabbagast. Asstisted by: Sampeace Brown Mastered at APR-Multimaster Studio Oslo Norway by: Arne Peter Rognan. Assisted by: Sampeace Brown. Published by: T-kay music pub.Scandinavia- (STIM) Produced by: Sampeace Brown for T-Kay/Hench Groove productions. Executive Producers: Sam U GeorgE. & Omari S. Tabu for AMUN. The Nigerian born Oslo based artist Sampeace Brown has been a familiar name in the music market for the past two and half decades. 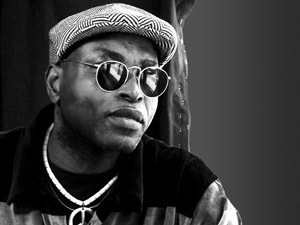 An exponent in mixing- pop, soul, r&b, funk, w.african hilife and reggae in his style of music otherwise known as fusion, in all efforts to retain his African roots and musical identity. This incredible music concept is also demonstrated on his fantastic and well done song contribution in this album “Celebration”.